Print Wear Wholesalers introduce mpTees. 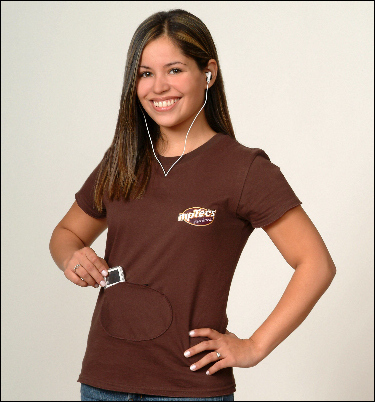 "We saw a need for a garment that affords users of an ear-wired iPod or cell phone freedom of movement along with easy access to the device to change the station or dial another call" Steve Hroncich, President for Printwear Wholesalers, which counts fortune 500 companies and numerous organizations among its clients for attractively designed T-shirts. 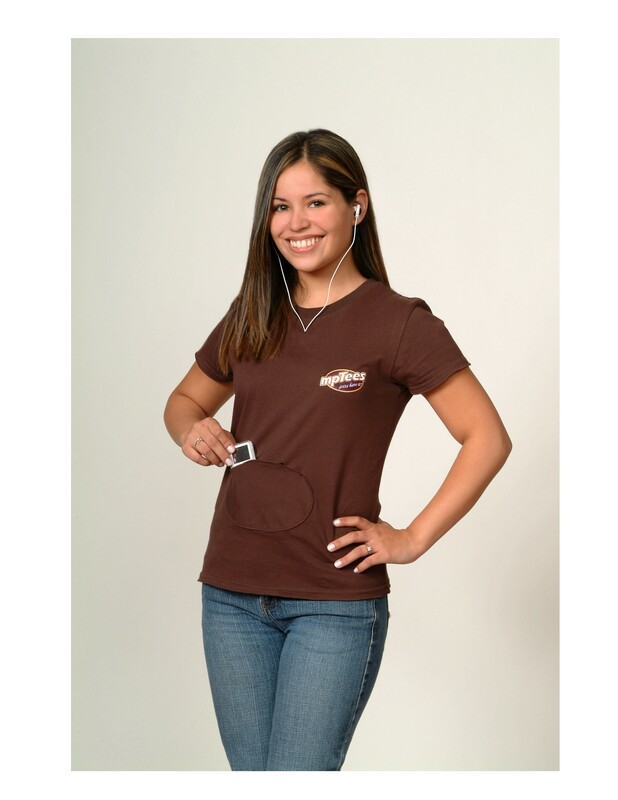 "Mp3 and ipod owners in particular were ecstatic upon showing them our prototype for the mpTees. We believe it makes a great promotional giveaway for any company that targets music lovers or gadget devotees." MpTees can now be ordered in quantities of 120 shirts or more. It comes as a short sleeved or long sleeved 100% cotton shirt in adult sizes small to 3XL or a fitted short sleeved 100% ringspun cotton shirt in adult junior sizes, small to XL. All styles come in six colors. The pocket is shaped and positioned so that the iPod or other small device will remain safely in it. Two slots allow the earphone wires to stay underneath the shirt for most of their way up to the user's ears. "For any company that wants to appeal to the 25+ million people who have iPods or MP3 players and countless cell phone users, imprinted MpTees will get their target market excited," predicts Hroncich. "Retailers will like the fact that MP3 player owners instantly 'get' the idea when they see a sample." http://www.mptees.com or by calling 1-800-313-9870.